Our staff here at Fix My RV are experts at all things Phoenix and Peoria. When you are visiting Phoenix, there are several things we here at the top RV Repair Phoenix company would recommend doing. While you are in town, should you happen to experience any difficulties with anything pertaining to your RV, stop in and chat with us at Fix My RV. We can fix anything from antennas to Aqua Hot systems. Or if you’re looking for adventures in Phoenix, we’ve got your back covered there too. 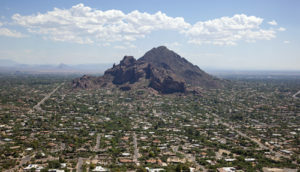 One of the big attractions in Phoenix is Camelback Mountain. Named after the animal that pretty much represents thriving in the desert life, this mountain has been considered the Valley’s Everest. Offering various difficulties of trail hikes for enthusiasts of all kind, Camelback Mountain is the perfect day time getaway or the perfect spot to view the sunset. Hikers be cautioned though, some of the trails aren’t for the faint of heart! A few more miles over, in Scottsdale, you can visit the Soleri Bridge and Plaza. The Waterfront has it’s draws for everyone, but art lovers in particular will love this community area. Scottsdale Public Art has had influence on the area, featuring an interactive pool and the 130-foot long bridge crafted to demonstrate solar movement by marking the equinox and solstice. Visit Scottsdale at sunset during summer for the most enchanting time. For all your RV Repair Phoenix needs, visit us at Fix My RV. 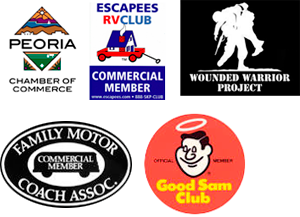 We are widely regarded as the best mobile RV repair company in the Phoenix, Scottsdale, and Peoria area. If you are visiting Phoenix and need maintenance or repairs, call the company that has a reputation for premium quality and attention to detail. While you are in town and your RV is being services, ask us more details about where else to visit in the area.